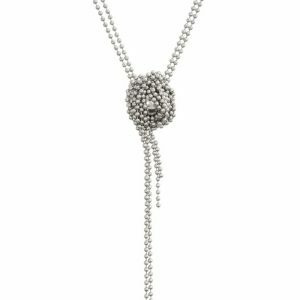 the rio magnet necklace of designer iris weyer is so clever, simple and elegant; a basic chain of 120 cm and a super strong magnetic ball. it becomes a necklace, bracelet or even a ring. available in silver plated, black ruthanium, gold plated and rose-gold plated. RIO Magnetschmuck from Iris Weyer on Vimeo.